A governorship aspirant of the All Progressives Congress, APC, Babajide Sanwo-Olu, on Tuesday defeated the incumbent Lagos State Governor, Akinwunmi Ambode in the ongoing primary election in Alausa, the seat of government. Sanwo-Olu, the alleged preferred candidate of APC National Leader, Bola Tinubu won at ward C, Alausa, Ikeja. 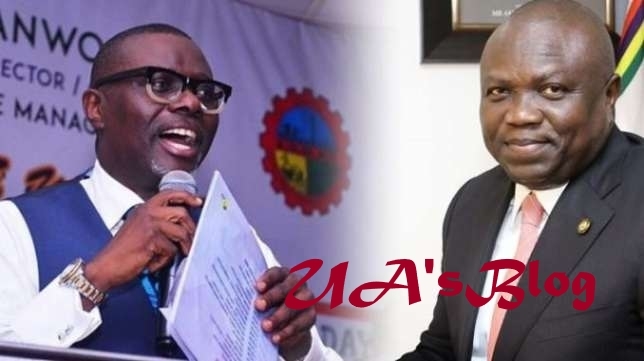 Olanrewaju Yahaya, the electoral officer of the ward announced that Sanwo-Olu polled 960 votes ahead of the governor who secured just four votes. Following a reported relationship breakdown between Ambode and Tinubu, the latter was said to have anointed one Babajide Sanwoolu as the next governor of the state.